Is There a Heaven in Judaism? In her recently released book, Changed in a Flash, Elizabeth Krohn (below) laments the fact that her Jewish faith did not prepare her for her near-death experience and had no answers for her after it took place. She didn’t begin to get answers for it until some 25 years later, after corresponding with Dr. Bruce Greyson, an NDE researcher at the University of Virginia, and then meeting John Price, an Episcopalian priest who works with people who have had NDEs. “This priest lent credibility to my near-death experience, something I had searched in vain for when I tried to speak to my own clergy about my experiences,” she explains, stating that her attempts to speak to four different rabbis at her synagogue were mostly dismissive and seemingly uncomfortable for them. Krohn’s NDE took place in 1988, when she was 28, in the parking lot of her synagogue. After being stuck by lightning, she found herself in a garden that “is beyond description” and she immediately came to understand that time is not linear. Knowledge came to her in the voice of her beloved grandfather, although she now doesn’t think it was her grandfather. When she returned to the earth life, she was not the same person she had been. “The new Elizabeth would see life in varying shades of gray,” she explains. “Nothing would be black and white ever again.” Among the aftereffects were the ability to see auras, precognition, and synaesthesia, the latter described as a neurological phenomenon in which a person might “hear’ colors, “see” music, and “taste” shapes. She also claims to have received a phone call from her deceased grandfather in the middle of the night, her bedroom being filled with “odourless smoke” as her grandfather spoke with her. As she now sees it, the experience was to help her understand that death is not the end of life. The lightning strike was, according to her grandfather or whoever the guide was, “in the contract” before she was born. 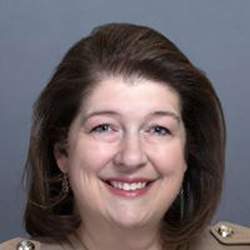 Raised in Reform Judaism and still actively attending services in her synagogue in Houston, Texas, Krohn devotes several pages to her disappointment with her faith. She opines that Reform Judaism “has become so heavily focused on social justice that it doesn’t even matter if you maintain Jewish mores, observe the Sabbath, or probably even believe in God…” Reform Judaism, she says, has become a political organization with not much of a spiritual component. The rabbis she consulted about her NDE apparently had no clue as to what she had experienced and made no effort to comprehend it. On the same day I was reading Krohn’s words, Annie Karni, a New York Times correspondent, criticized President Donald Trump for saying, during his State of the Union message, that “They came down from heaven” when quoting a Holocaust survivor watching American soldiers liberate Dachau. Karni attempted to blast Trump by tweeting that “Jews don’t believe in heaven.” Karni apparently met with much criticism from the Jewish community for her tweet, but her tweet no doubt represents the belief of many practicing Jews, who are taught to focus on the earthly life and give no heed to what comes after, if anything. As Dr. Carla Wills Brandon, the author of several books dealing with deathbed visions and other spiritual phenomena, sees it, much of this loss of spirituality in Judaism has to do with the Holocaust. “Previous to World War II, most Jews were still very religious,” she explains in an email exchange on the subject. “…The losses after World War II were great. The question that was asked was where was God while my relatives, parents, and children were being slaughtered by the Nazis.” She goes on to say that initially those who survived the Holocaust didn’t want to talk about it at all. She heard nothing about how her father’s family survived it all. The unresolved feelings about tragedies in the past, Wills Brandon points out, travel from one generation to the next. 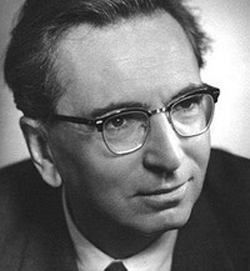 Renowned psychiatrist Victor Frankl, (below) who endured four Nazi death camps, recognized what he called an “existential vacuum” in the civilized world – a mass neurosis that is a form of nihilism, or a feeling that life has no meaning. He believed that religious conviction in a greater reality is very therapeutic in overcoming this neurosis. He recalled speaking with a rabbi, who had lost his wife and six children in the concentration camp of Auschwitz and had just found out that his second wife was sterile. The rabbi was in a state of despair over not having a son who would say Kaddish for him after his death. He considered himself a sinful man and did not believe himself capable of achieving the same place in heaven as his innocent children. “Is it not conceivable, Rabbi, that precisely this was the meaning of your surviving your children: that you may be purified through these years of suffering, so that finally, you, too, though not innocent like your children, may become worthy of joining them in Heaven?” Frankl put to him. “Is it not written in the Psalms that God preserves all your tears? So perhaps none of your sufferings were in vain?” According to Frankl, the rabbi had not previously considered this viewpoint and he found much relief from his despair in it. The non-believers, whatever name they give themselves, think such a belief implies that we must be focused on the afterlife and not really be concerned about this life. Outside of a few people on their deathbeds, I can’t recall ever having met any such person. The vast majority of religious people I’ve met over my 82 years are more concerned with “worshipping God,” whatever that means to them, and have given no real thought to an afterlife, beyond angels strumming harps and praising God twenty-four/seven. The Christian churches have not offered their faithful much more than Judaism has relative to “meaning” or surviving the earth life. What the non-believers don’t get is that when you fully grasp the wisdom of Frankl and Jung you can more effectively “live in the present” and more effectively deal with the adversity, all of which is part of the progression plan. Although spiritism and spiritualism are sometimes used synonymously, they are given different meanings by those really familiar with the subject matter. In its broadest sense, spiritualism is the opposite of materialism, meaning that any believer in a spirit world, including a Christian, is a spiritualist. However, in a much narrower context, spiritualism is the belief that spirits of the dead can and do communicate with those still alive in the flesh and that the afterlife consists of many realms through which souls evolve, not just heaven and hell or heaven, purgatory and hell. Spiritism is usually associated with the spirit teachings sets forth by French educator and pioneering psychical researcher Allan Kardec; it is very similar to spiritualism but with a more definite acceptance of reincarnation. Even though my friend is a retired lawyer and judge, he is deaf to my argument that neither spiritualism nor spiritism is related to idolatry, witchcraft or sorcery. There might be a few common characteristics, although many of those characteristics can also be found in religions, including Christianity. Nor will my friend hear my argument that various words in the Bible have been given different meanings over the centuries by different translators and interpreters. If Dr. Robert A. Morey, a professor of apologetics and hermeneutics at Perry Bible Institute, is correct, the word nephesh is used 754 times in the Old Testament, but it takes on 30 different meanings, ranging from “soul” and “the dead” to “fish” and “dogs,” in modern translations, while the Greek word aion is found 108 times in the New Testament and is given 10 different meanings, including “forever,” “ages,” “occasionally” and “never.” What we read in the English Bible as “everlasting punishment” meant “age-long pruning” in the original Greek. My friend has, in the past, also cited Deuteronomy 18:10-13, which says we shouldn’t talk to the dead and Ecclesiastes 9:5, which says the dead know nothing. I have countered with 1 John 4:1, which says “to test the spirits whether they are of God” and have asked him how we can test them if we shouldn’t be talking with them and if they know nothing. I throw in 1 Thessalonians 5:21, which says “to test them all and hold on to what is good,” along with 1 Peter 1:5, which tells us to add “knowledge” to our faith. When my friend cites Revelation 22:18, which seems to say that God will punish anyone who adds or takes away anything from the Bible, I ask him how to reconcile that with Joel 2:28-29, which indicates that more revelation will be coming to us and with 1 John 16:12-14, which says we have much more to learn but we are not ready for it. Are we to assume that we will never be ready for it? Although I have not been able to verify this with a Hebrew scholar, it is my understanding that word “dead” in the Deuteronomy and Ecclesiastes references noted above referred to the “spiritually dead” in the original Hebrew. Thus, the earthbound or low-level spirits know nothing and we should avoid communicating with them. That makes much more sense, as to say all dead know nothing is to suggest that even advanced souls are pretty ignorant. And what about the “Seven Deadly Sins,” which include pride. Isn’t pride often held to be a good thing? We’re told to take pride in our good works, that the military instills pride, etc., etc. Did the original English translators really mean to say arrogance or hubris rather than pride? Or has the meaning of the word changed over time? Clearly, words take on different meanings over time. I can remember when a “hero” was someone who risked life or limb to save another person, but today, according to the media, a hero can be someone who rakes leaves off the grass for his elderly neighbor. It was not too many decades ago that a “propagandist” was someone who promoted an idea with great zeal, but now he or she is someone who distorts truth and spreads “fake news.” A “skeptic” was once someone who had doubts or reservations about something, but today a skeptic is someone who “knows” it all, no doubt about it. As mentioned in prior blogs here about the spirit calling herself Patience Worth who communicated through a St. Louis, Missouri housewife named Pearl Curran, Patience dictated words to Curran that involved sixteenth century English. In one such dictation, Patience communicated, “I wot he fetcheth in daub-smeared smock.” Even in the early 1900s, the word “fetch” was rarely used, but when used it meant to “go and get” someone or something. Patience used it as synonymous with “came” or “cometh,” which philologists confirmed as the word’s original meaning. As philologists apparently had a hard time verifying this, it seems extremely unlikely that Curran, who had only an eighth-grade education, would have been so familiar with language from Shakespeare’s time. If truth is based on the meaning we give to words, there seems to be little hope that we will ever have the truth on anything or ever agree on anything. In today’s political and social arenas, words are subject to different interpretations and one person’s truth is another’s untruth. Asylum” means escape from persecution to one political persuasion and escape from poverty to another. “Arms” means automatic rifles to one and muskets to the other. “Nationalism” means putting one’s country first to some and complete isolationism to others. There are so many shades of gray in various words, but we tend to want to polarize them for political or personal gain. More and more, truth seems to boil down to a 5-4 vote by the U.S. Supreme Court. If nine men and women can’t agree unanimously any one thing relative to the intent or meaning of words or verbiage, what are the chances that the masses will? Moreover, words in the Bible have been subject to misinterpretation, distortion, bias, twisting, embellishment and other change for some two-thousand years, while those from the time of Patience Worth only 400 or so years and those in the Constitution for not much more than 200 years. My lawyer friend refuses to believe that the Bible was handed down to us through mediums of one kind or another and that what they received was all the “word of God” and there is no room for error. And so it goes with orthodox religions, stuck with dogma and doctrine based on likely misinterpretations and emotional coloring as it passed from one mind to another. So, what can we believe? I like the way the spirit claiming to be St. Augustine put it to Kardec when Kardec wondered if low-level spirits were attempting to deceive him with false information. “The purest light is that which is not obscured by any cloud; the most precious diamond is the one without any flaw,” came the response from Augustine. “Judge the communications of spirits in like manner, by the purity of their teachings. Do not forget that there are, among spirits, many who have not yet freed themselves from their earthly ideas. Learn to distinguish them by their language; judge them by the sum of what they tell you; see whether there is logical sequence in the ideas they suggest, whether there is, in their statements, nothing that betrays ignorance, pride or malevolence; in a word, whether their communications always bear the stamp of wisdom that attests to true superiority.” He went on to say that if our world were inaccessible to error, it would be perfect, which it is far from being.